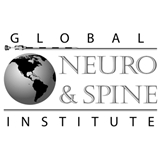 Global Neuro & Spine Institute (Fort Pierce) - Book Appointment Online! To better serve you, we request that you please fill-out your demographics and provide a good contact number or email address as well as your Insurance Information. Please note that all appointments are not confirmed and may be cancelled unless verbally contacted and all medical information (such as medical history) is obtained by a Global Neuro & Spine Institute Staff member. Please beware appointments are subject to change. Thank you. "Relieve Pain...Restore Life"